Last week I went to Manchester for the last two sessions of Design Manchester festival. From the two sessions I attended (out of a whole week’s programme) it was clear that being agile and open with your design process produces the best results. The first session, Design Now featured Jody Hudson-Powell and Luke Powell from design studio Hudson-Powell (who recently became partners at Pentagram) and illustrator Malika Favre (ex of Airside) and was chaired by Fred Deakin (a co-founder of Airside, he is now Professor of Interactive Arts at UAL among other things). Hudson-Powell explained how their early interests in skateboarding and computer games, lead them to take a DIY approach to work, experimenting with new mediums and technologies. Malika spoke about her influences and how they inform her work, showing examples of her work in progress. Both talks showed how the creative process is about experimenting with new ideas, and not being afraid of failure. Hudson-Powell showed how they experiment with different tools, techniques and technologies, learning just-enough without becoming experts, making things and throwing them away. They can then use this knowledge to know when a certain technique will fit a project. Malika showed her work, from the photographs and moodboards that inspired certain pieces, early sketches and unfinished concepts to the finished works. She also showed her self-initiated projects and explained how these often lead to client work. 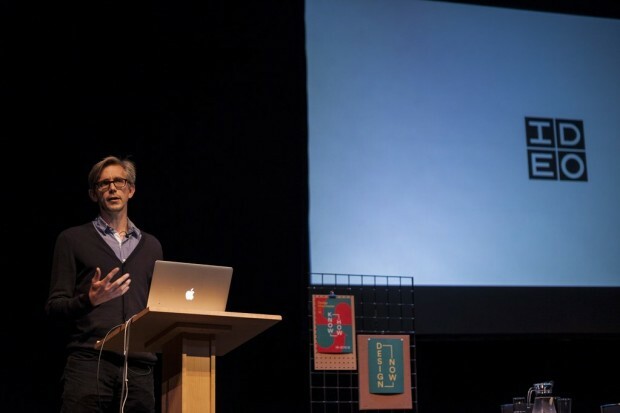 Design How was a larger talk at the Royal Northern College of Music. The talks were presented by Ben Terrett (ex director of design at GDS), Clive Grinyer (head of customer experience at Barclays), Steve O’Connor (design director at IDEO) and Lee Fasciani (Territory Studio) and chaired by Angus Montgomery from Design Week. 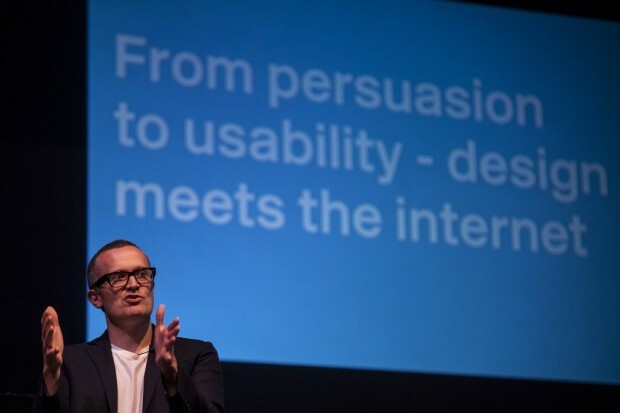 Ben’s talk focussed on usability versus persuasion and referenced removing the icons from GOV.UK, that UX is the responsibility of everyone on the team and fixing the basics – he’s spoken about this before. Steve O’Connor talked through how IDEO approach service design and design thinking. Design thinking is a balance of desirability, viability and feasibility and that understanding desirability is hard, as humans behave unexpectedly. The best way to understand this is through observation, and this was illustrated with a great diagram that showed the cycle from observing the real world, abstract insights and ideas back to observing prototypes. He also spoke of “sacrificial concepts” – raw, early ideas based on assumptions and preconceptions that can be tested quickly. This is similar to how we will test different approaches and concepts in the alpha phase. Clive Grinyer spoke about Barclays’ product development cycle of crawl, walk, run – incubating a new product until it is mature enough to have its own team running it – and how the team define the proposition in sprint zero, similar to our discovery phase, in which they define personas, and map out user stories and user journeys. They also design a fake bus stop advert to describe the proposition to users, a visual elevator pitch. If they can’t explain the idea within the advert, then it’s back to the drawing board. It was interesting to hear about different organisations take on the agile design process, across government, commercial in-house and agency. The overarching message from all the speakers was that the earlier you share your ideas, the earlier your test your prototypes, the less risk there is.